On the 10th of May, Efficient Portfolio turned the big ‘1-0’. According to Forbes, only around 1/3 of businesses make it to their 10th birthday, so we’re delighted to reach this milestone. Each year, leading industry magazine New Model Adviser selects the top 100 advisers from across the nation. For the past 3 years, Efficient Portfolio have been awarded the coveted title. We were the first Chartered Financial Planning firm in Rutland and pride ourselves on being able to provide you with a planning service built on honesty, professionalism and integrity. The prestigious Chartered title is the Financial Services Industry’s gold standard and is only awarded to the top 7% of firms in the country. We offer advice on the whole market and therefore have the most options available when it comes to meeting your financial planning needs. We are not tied to one product or provider, so can recommend what’s best for you, not for us. At Efficient Portfolio, we believe in helping people clarify and realise their dreams and goals through financial planning. We do this by taking you through a unique process that allows you to get a better understanding about us, of what you want to achieve in the future and what concerns you have about the present. We can then build your financial planning to help deliver exactly this. Get emails with the latest news and information. You can unsubscribe at any time. 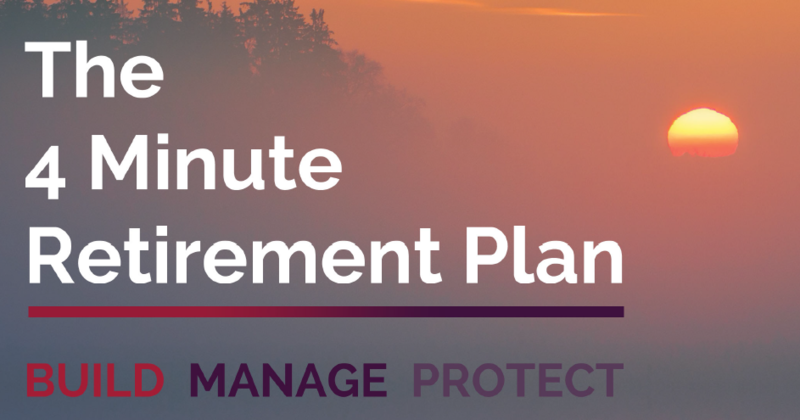 Why not complete our 4 minute retirement plan and get a personalised report in your inbox now!